Mike and Kate are waiting for Kate’s mom at a boring press conference in Yankee Stadium when the team official says something that makes Mike perk up his ears. There are rumors that the ghost of Babe Ruth is haunting the new stadium! A chill air blasts down a service hallway before every home game, along with various thumps and bumps. Is the Bambino really searching for his missing locker? Sound interesting? 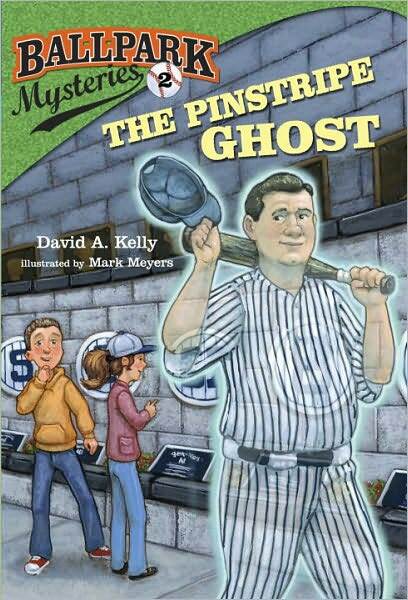 Download or read a sample chapter from The Pinstripe Ghost! Mike Here! Read my blog post about the day at Yankee Stadium that inspired this book.